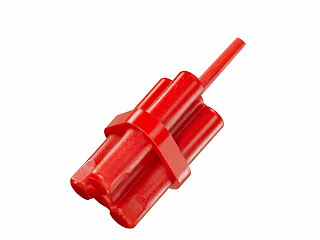 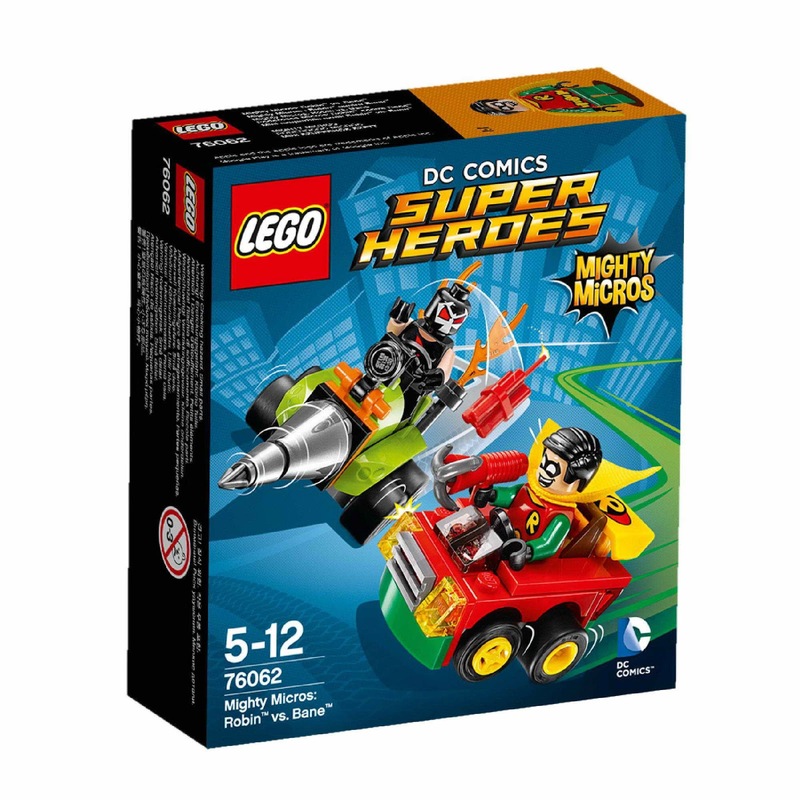 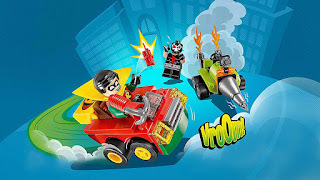 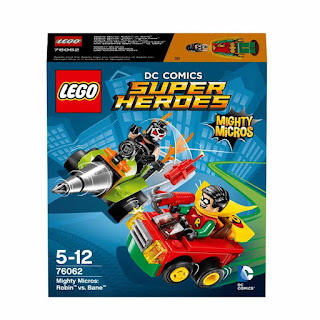 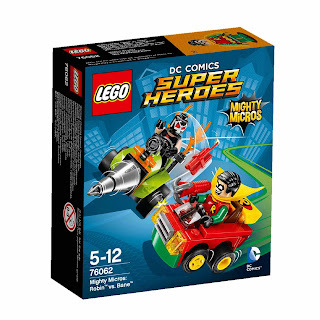 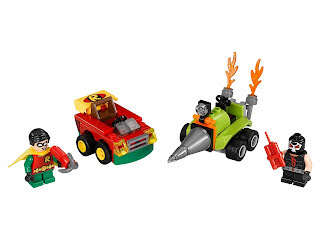 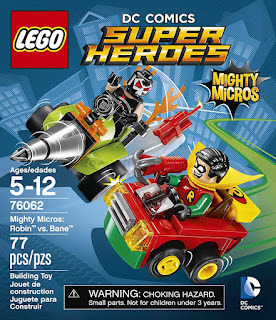 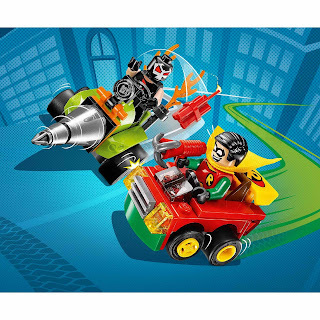 come with a robin's mighty micros car and a bane's mighty micros driller. 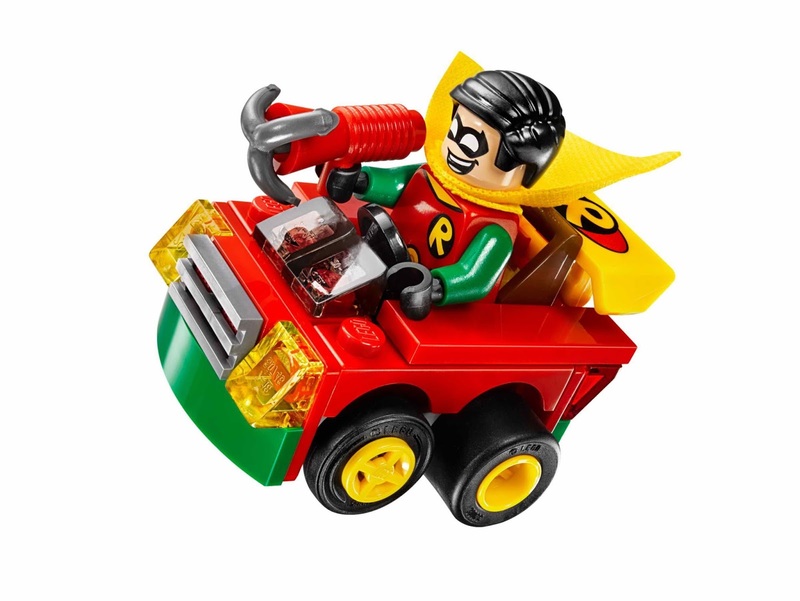 the robin's car has turnable wheels and transparent lights. the driller has a rotatable drill, turnable wheels, transparent lights and exhaust flames. 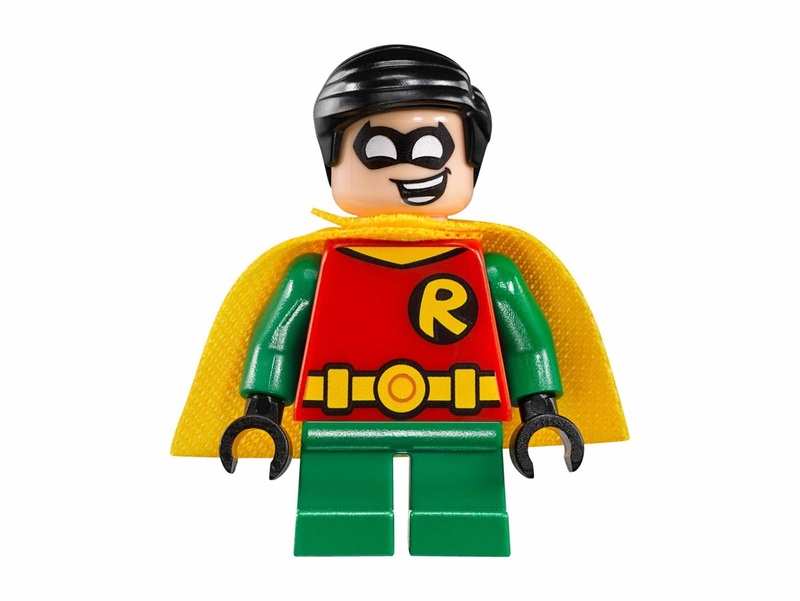 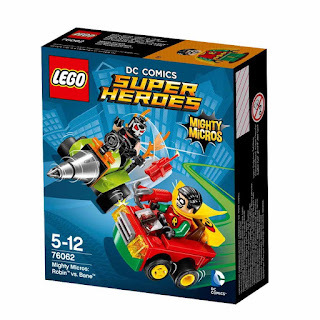 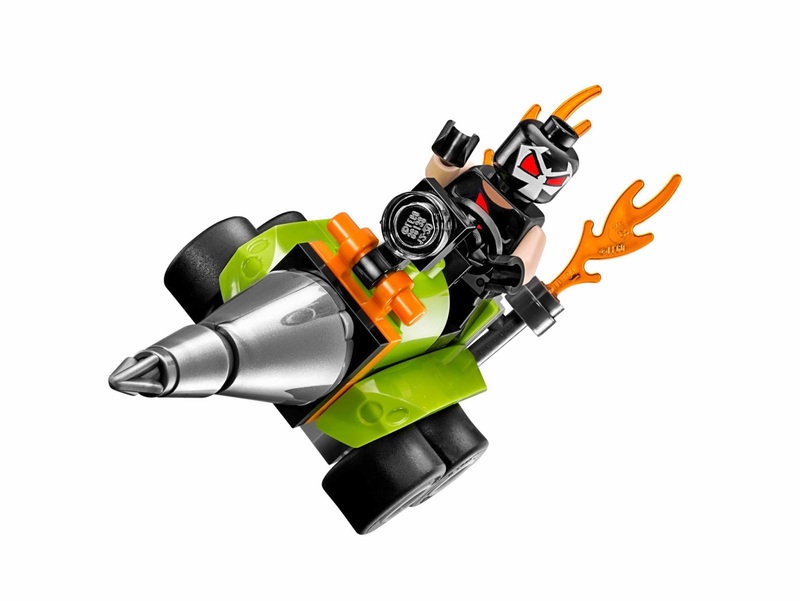 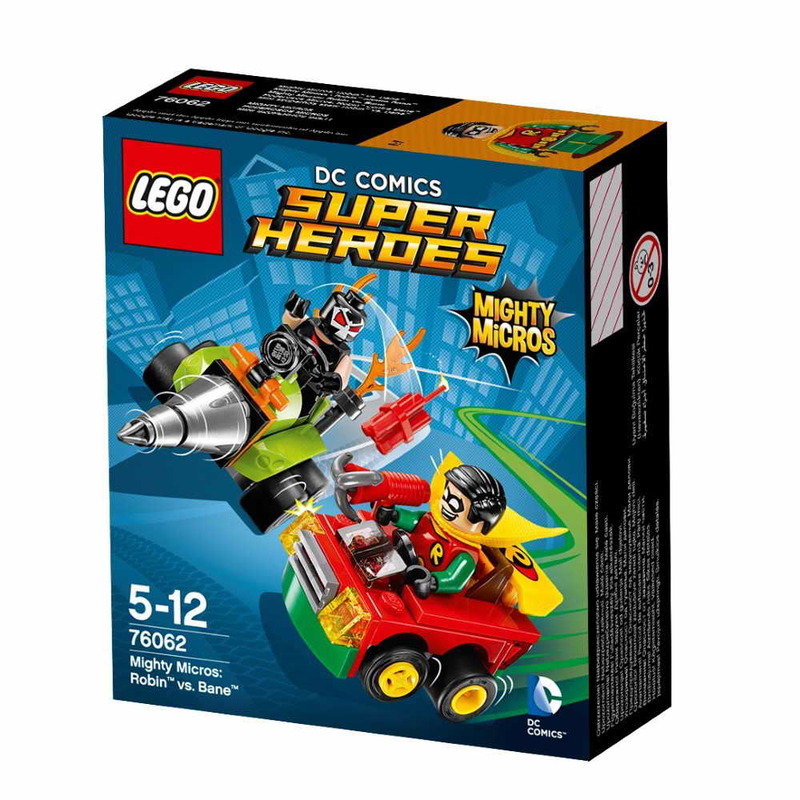 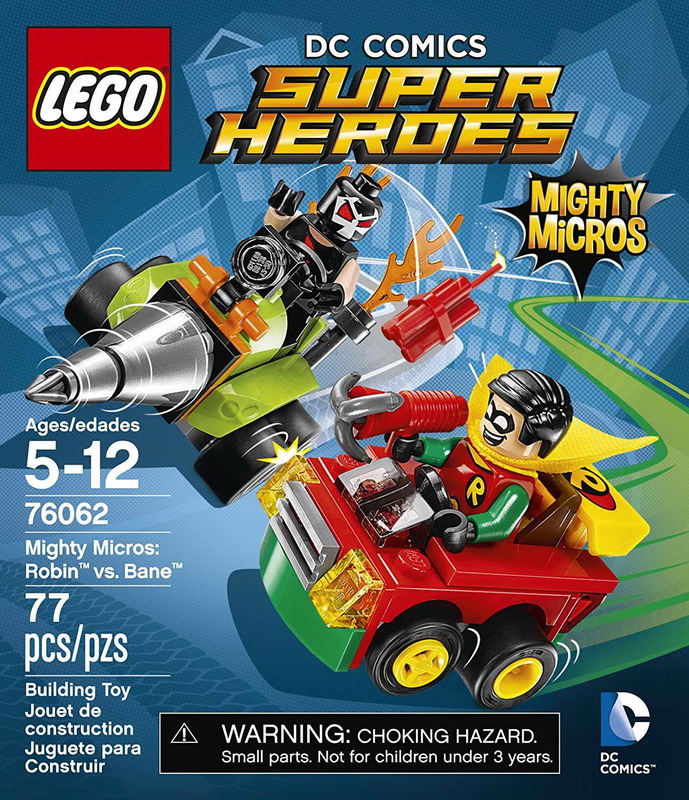 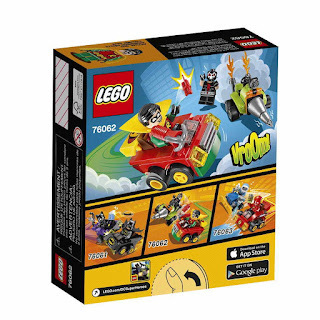 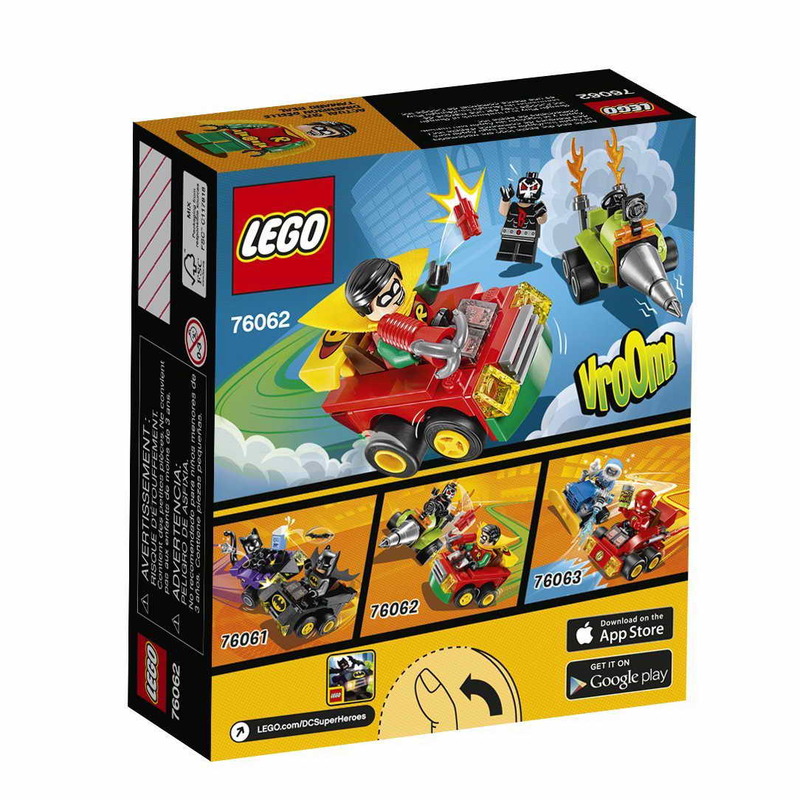 minifigs included a robin minifig and a bane minifig.